Women of the world. STOP DOING THIS! I've been drunk and I've been plastered, but there just ain't enough alcohol to hit that. Is there even a need for a comment? 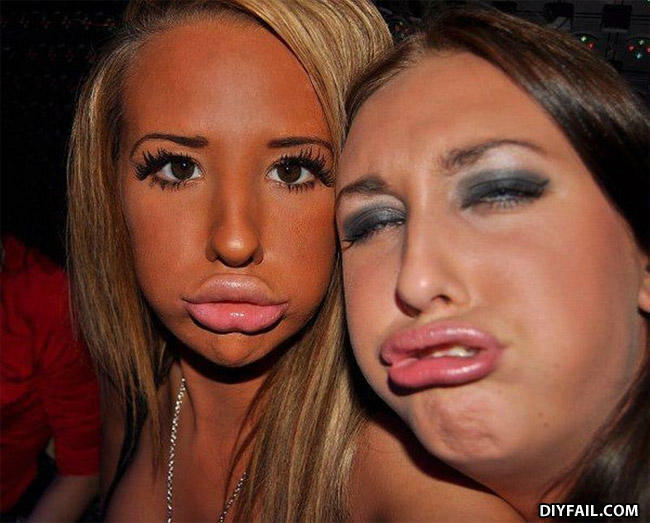 upside down duckface lips makes your chins disappear.